« CFRC Presents: The Huaraches and Teenage Frankenstein!!! Um…so, will you be our Valentine? Can we hold your hand? 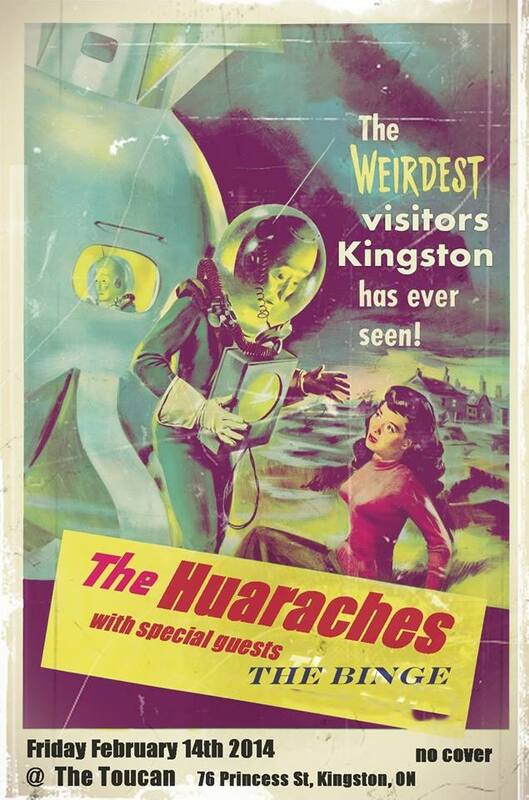 The Huaraches are taking you to the pub this Valentine’s Day @ The Toucan – 76 Princess St., Kingston, ON; 10pm; 19+; no cover! Special guests: The Binge, a boot stompin’, cool rockin’ good time band you need to see. Love songs sung by ELE Incognito and Miss Mae O’My! Kissing contest with crappy prizes! Woot!